Today there are over 10 million residential pools in the United States alone, and it’s estimated that an average pool of 10,000 to 15,000 gallons will lose the entirety of its liquid contents every year due to pool water evaporation. While some pool owners may have accepted water loss as part of the cost of pool ownership, we know firsthand that many of those thousands of gallons lost every year can be salvaged and saved. How Much Water Are You Losing? To give you an idea of how much water you’re losing to pool water evaporation, it’s time to take out your handy pool volume calculator and figure out just how large your pool is, and then perform a bucket or tape test to see how much water you’re losing a day. The average pool will lose anywhere from 1/4″ to 1″ per week. A 7 mph wind has the potential to increase evaporation losses by 300%. Break the wind by installing fences, trees, and shrubs around your backyard pool to reduce evaporation losses. BONUS: Install drought-friendly plants in your backyard to save even more water. Timers can be installed to standardize how often your pool pump runs and how often pool features run as well. Timers will keep your pool pumping consistently and help keep water fountains, waterfalls, and water slides off when not in use since aeration increases evaporation. 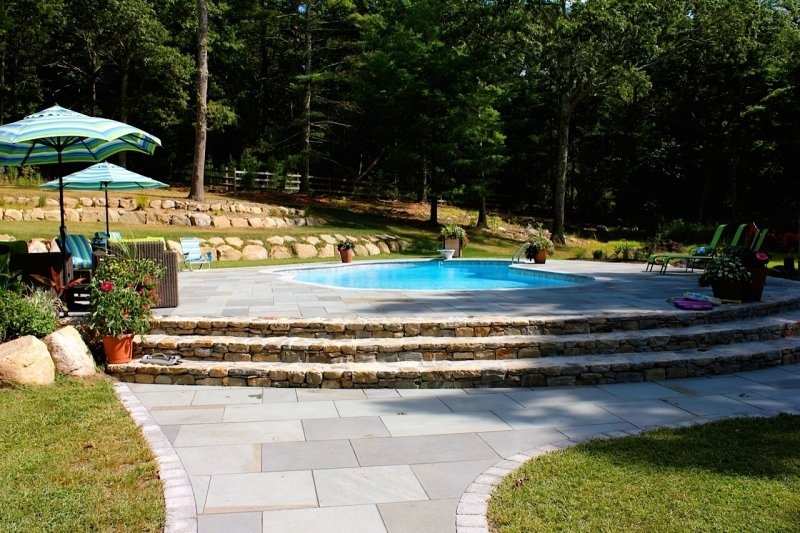 A good solution for preventing pool evaporation is reducing the amount of splashing water. 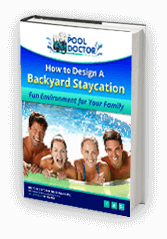 This can be done without sacrificing summer pool fun. When filling your pool, be sure not to overfill to minimize potential loss. Check pool fill valves regularly. A fill valve can get stuck and overfill your pool, especially when you’re out of town for summer vacation. Pool owners that maintain chemicals properly reduce the frequency of draining a pool. Pools seldom require a draining so ask or hire a professional before doing so. Sometimes, pool service companies can even perform maintenance or repairs without having to drain your pool.